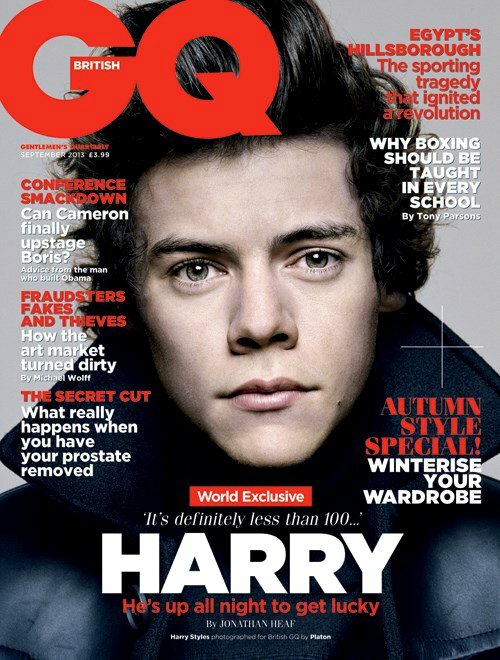 #Harry Styles shoots down bisexual rumors as he graces the cover of #British GQ magazine's September issue alongside his One Direction bandmates. The 19-year-old singer tells the magazine that reports suggesting he is in a relationship with U.K. TV and radio host Nick Grimshaw are not true. Harry apparently is surprised when the magazine asks if the two are "an item." Harry says, "Oh, really? I didn't even know. We're not dating, no. We're just friends." The magazine asks again, "So you're not bisexual?" 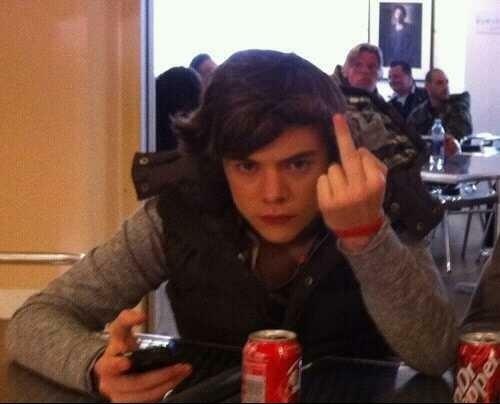 Harry says, "Bisexual? Me? I don't think so. I'm pretty sure I'm not." The pop star says that some rumors about him are "funny," "ridiculous," and even "annoying," but he is not the type of celebrity who reacts on Twitter when false news emerges. "I don't want to be one of those people that complains about the rumors. I never like it when a celebrity goes on Twitter and says, 'This isn't true!' It is what it is; I tend not to do that," he explains. Harry will be upset if rumors affect his relationship with someone. "The only time it gets really annoying is that if you get into a relationship and you get into a place where you really like someone and then things are being written in the papers that affect them and how they see you. Then it can get annoying," he adds. The group's members look mature and classy in all-black outfits for the magazine's photoshoot. The men's magazine will hit the stands on August 1.